Dream Maker Spas are the simple, affordable, durable way to enjoy a tranquil spa getaway steps from your home. Designed with the user in mind, each spa is built to be the ultimate in relaxation and enjoyment. Dream Maker Spas ranked #1 in value of products in the TradeCertified™ Executive Summary Report. TradeCertified™ is an independent organization that evaluates small businesses, professionals and service centers to offer comprehensive business and product information to consumers. Simply choose the model that fits your location and lifestyle and have it delivered directly to your home. 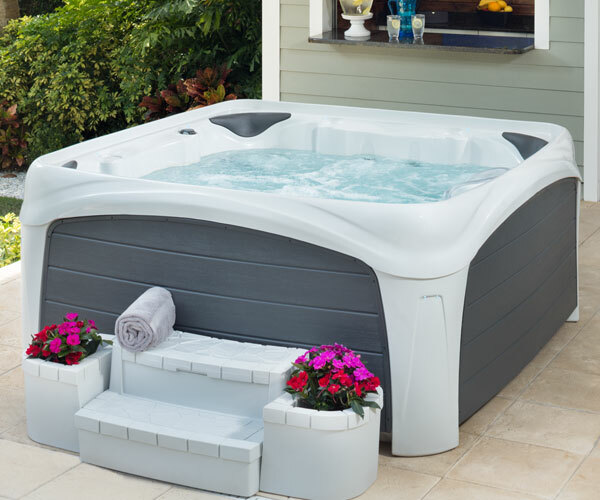 Dream Maker Spas are designed to be simple to set up and simple to operate, so you can spend less time maintaining your spa and more time enjoying it. 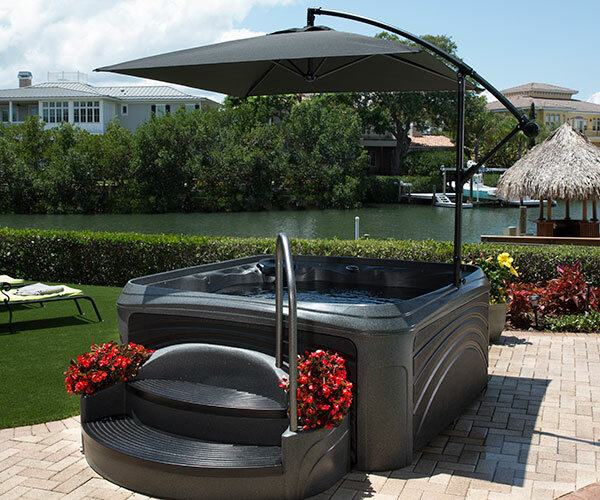 Crossover Collection Spas are built with our proprietary Syncrylic material for the appearance of acrylic with the durability of polyethylene. 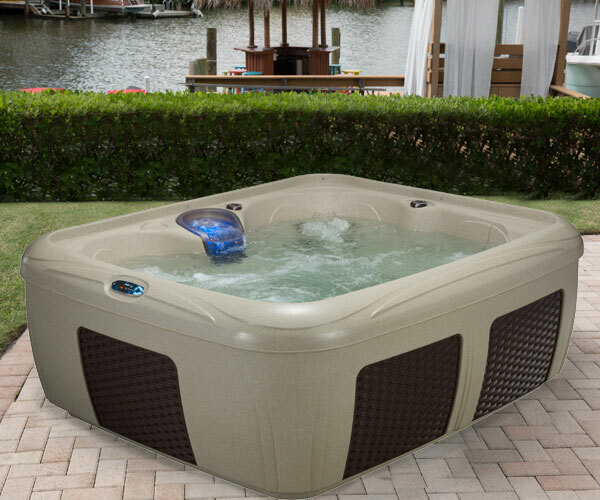 Dream Maker Spas are rotationally molded for a unibody construction that creates an elegant durable finish guaranteed not to split, peel, rot or rust. Dream Maker Spas are designed with superior insulation and heating technology for exceptional energy efficiency, keeping your energy costs low. Now you can have it all… and more. The first in its class Cabana Suite Spa brings you the year-round dream vacation that you keep in your own back yard. Questions? Give us a call at 1-888-329-4847! The all-new, patented synthetic blend that provides the desired luster and look of Acrylic while retaining the high-impact and environmentally friendly benefits of polyethylene. Suite Spa and Crossover Collection hot tubs. How many calories does spring cleaning burn? What size hot tub should I buy?